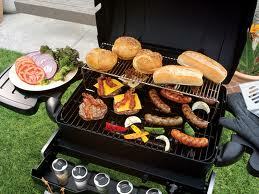 Shane Shirley : The 5 Worst Foods to Grill. Would You Like Some Carcinogens with That Chicken? The 5 Worst Foods to Grill. Would You Like Some Carcinogens with That Chicken? It's that time of year again when long days and hot houses make for great meals grilling outside. Three out of 4 American households own a grill, but but do you know that when you grill your food cancer-causing compounds called heterocyclic amines (HCAs) can be produced? These cancer-causing HCA compounds are produced during the cooking of many animal products like chicken, beef, pork, and fish. HCA's are so harmful that at the beginning of 2005, the US Department of Health and Human Services officially added them to its list of known carcinogens. So you may be moaning just like my husband did when I told him this, but you don't have to give up grilling completely! You just need to stay away from foods with high levels of cancer causing HCA's. 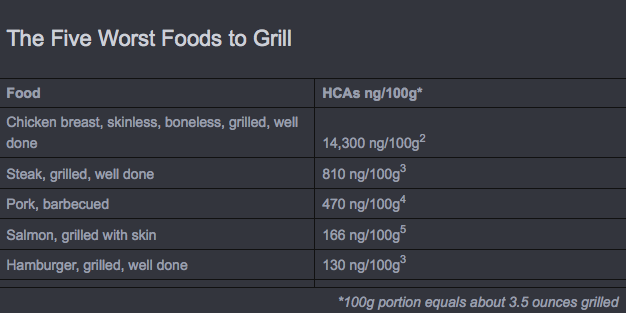 Luckily for consumers, The Cancer Project has come up with 5 worst foods to grill because of their high levels of HCA's. I am thinking it is time to give veggie burgers a try eh? I have heard rumblings from a Linkedin contact that they have come up with a healthy way to grill and are trying to launch a nationwide chain of restaurants. What do you think?